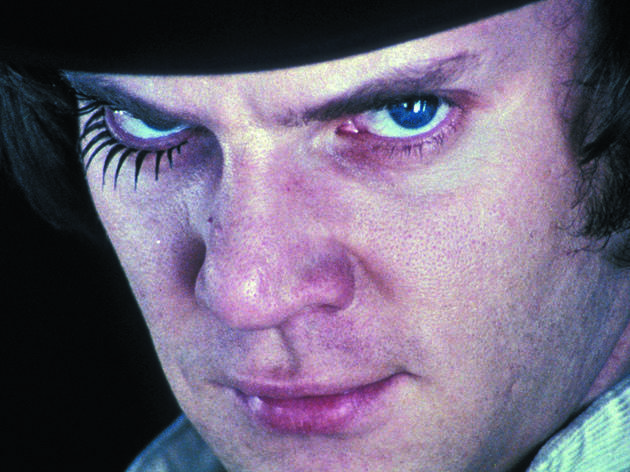 Kubrick's film exploited the current debate on the validity of aversion therapy in the context of a working lad's freedom to choose violence as his form of self-expression. A sexless, inhuman film, whose power derives from a ruthless subordination of its content to the demands of telling a good story. A glossy, action-packed ritual which is fun to watch but superficial to think about. Iconic movie from Stanley K, should be on the must watch list for all movie officionados. Get ready for a series of highs and lows through watching, I found it compelling, disturbing, brilliant, and awful all at the same time. Yes it's very dark and disturbing in parts, but it's also a classic piece of cinema which should be on the 'must watch' list in my view. Why? Well it's beautifully shot, it's got a great soundtrack, and it throws up many moral questions for the viewer, many of which i'm still wrestling with today! sexless and inhuman!? yea, it might be appeared as inhuman but it is very human given the brutality and violence we all love to do and watch apparently. Also the nature of morality. It certainly made me think i might like being treated like alex so anything i deem immoral make me so sick so i would not do it. as a matter of fact we might do it already. isn't that what christianity and all other puritan doctrines demans of us to experience through our consciences? i certainly sometimes torture myself from a "wrong" thought that came to my mind. you can take this movie as a Neitzschian critique of christian and alike moralities. This film, one of Stanley Kubrick's best, exhibits some of the best visual and musical imaging i have ever seen in a movie. The perfedctly chosen musical score and sound "effects" leaves the viewer with a strong sense of disorientation, confusion and really quite overwhelmed. Although there is quite frequent violence, there is nothing that will mentally scar you and nothing particularly gruesome or gory - in fact, it would be considered almost nothing compared to the really disgusting violence and gore we see in today's movies. 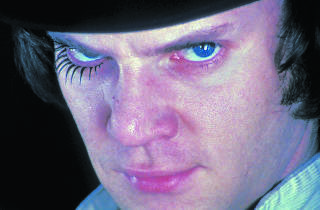 Clockwork Orange doesn't tell you what you should think, only leaves you to make up your own mind, and as a result many people find it lacking in any depth, possibly because they are incapable of making up their own mind about things. I would say that, to me, watching this movie is like viewing an exquisitely ambiguous and fanastic piece of abtstract art - something like "blue poles".